Welcome to Cutloose Demolition, where you’ll find all your demolition services, concrete cutting and drilling, core drilling and salvage needs in Adelaide, South Australia. Get the Job Done Right - First Time, Every Time! Cutloose Demolition has provided reliable demolition services in South Australia for over 20 years. Whether you’re looking to arrange house or commercial demolition or you’re a homeowner or tradie looking for cheap building materials in the Salvage Yard for construction and renovation projects, we can help you. Our experienced and fully insured demolition specialists are committed to exceeding the expectations of our customers, and provide a same-day service for all types of demolition jobs, including concrete drilling, bursting and cutting using the latest diamond saws and other state-of-the-art equipment, to improve productivity and guarantee a professional finish. We can carry out noiseless demolition if required and are specialists in environmental protection. Our demolition specialists are fully covered by builders insurance, broadform liability insurance and vehicle insurance to give you extra peace of mind. 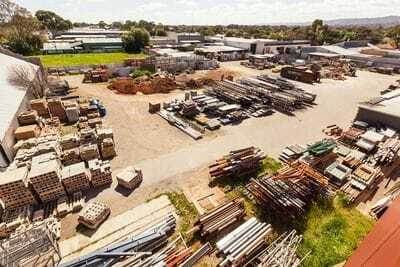 If you’re renovating a home or commercial building, our well-stocked salvage yard is your one-stop shop for recycled timber, red bricks, paving, flooring and other renovation materials at affordable prices. Quotes are on us! Contact Cutloose Demolition today for a free site inspection at a time that suits you. Dale is the Managing Director of Cutloose. 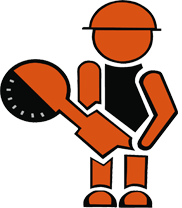 He has been in the concrete cutting and demolition industry for over 30 yrs. Dale started at the very bottom as an unskilled laborer and working his way through all facets of the industry. Jeff is the everyday face of Cutloose. He is generally the first contact you will have with us. Jeff has over 30 yrs experience in the industry and can guide your project in the right direction. Laurie Is in complete control of the salvage yard, if it is in the yard he knows where it is!